The Rothschilds are one of the wealthiest banking families in the world. 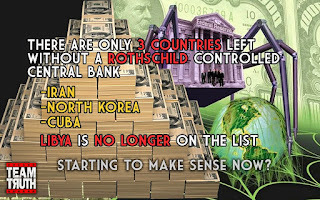 Their net worth is estimated from $350 billion to $2 trillion and they own every nation’s central bank in the world except for four: North Korea, Iran, Cuba, and Syria. This royal family has been in banking for hundreds of years. The family’s power goes back to times when they weren’t even known as the Rothschilds but instead were named as the Bauer family. Mayer Amschel Bauer was a Jewish German banker who opened his first bank in Frankfurt, Germany. His son, Nathan, established the London bank while his other son, Jakob, established the Paris bank in 1811. Soon, the Bauer family changed their name to Rothschild. 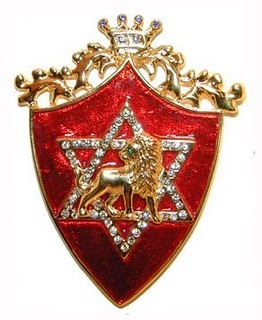 The name Rothschild means “red shield” which could possibly be related to the Rosicrucian Order. The Rothschild dynasty began to gain power and wealth across the world. The Rothschilds moved from Germany to England shorty after changing their name and Nathan Rothschild continued growing the family’s power. The empire soon reached from England, Germany, and France to all the way across the Atlantic and stretched across the world. The Rothschilds are a Jewish banking family and they adopted the hexagram and Star of David as their family symbol. 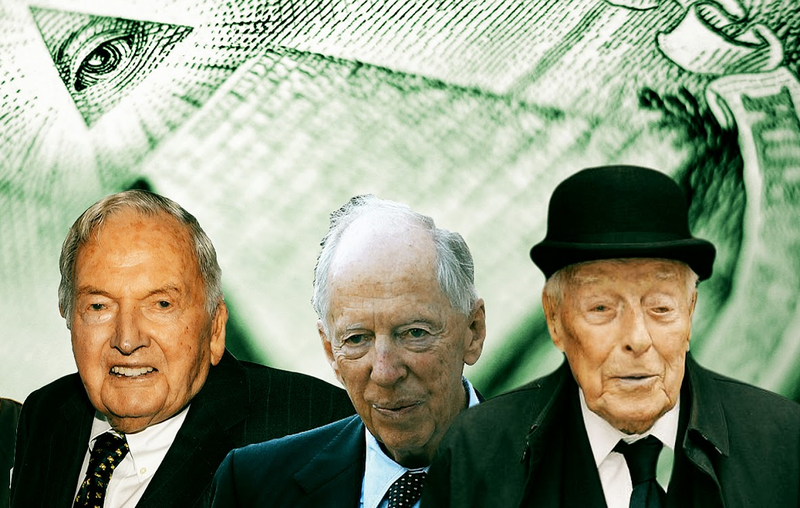 One thing many researchers will easily stumble upon is the fact that most of these powerful, wealthy banking families are Jewish or have strong ties to Judaism and Zionism. The Rothschilds are heavily embedded with Freemasonry and Zionist agendas. The Rothschilds are largely responsible for the Balfour Declaration and the creation of Israel as a nation-state. The Balfour Declaration was addressed to the Rothschilds, specifically Walter Rothschild. Jacob Rothschild has even admitted to Walter Rothschild being a Zionist and Jacob Rothschild himself is a Jewish Zionist pushing the agenda towards the One World Order of Zion. The Rothschilds funded the Carnegies, J.P. Morgan, and the Rockefellers. The Rothschild empire grew when they began controlling Standard Oil. The Rockefellers are one of the wealthiest families that still maintain control in the oil industry. 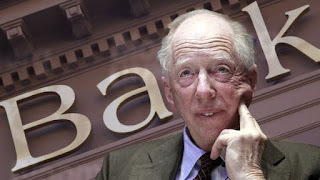 The Rothschild family has funded many wars for covert advantages of the New World Order. For instance, Before 9/11 and the Iraq War, Afghanistan, Iraq, Sudan, and Libya’s central banks were not under Rothschild control. 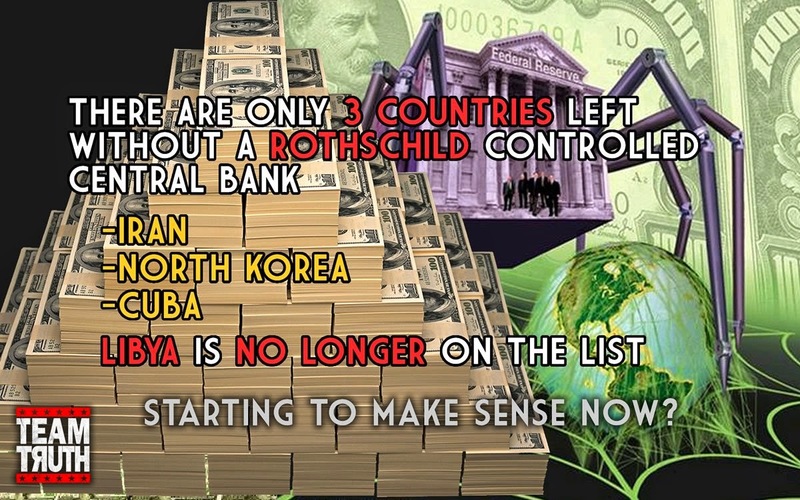 After 9/11, the United States went to war and invaded all of these countries leaving them in ruins with all of their banks under Rothschild control joining the World Bank. It is clear what the agenda is. The only countries left that are not involved with this One World Order are the four most hated countries in the world: Iran, Cuba, Syria and North Korea. There is propaganda from the mainstream media left and right trying to get the public to hate these nations to justify going to war with them. It’s all an illusion to further the agenda of a One World Order of Zion.